Victory in Delaware’s Indian River School District! 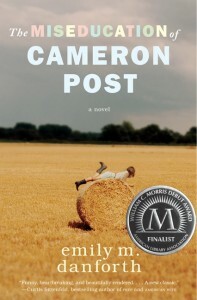 Following a letter sent last week by CBLDF and other members of the National Coalition Against Censorship, school board president Charles Bireley last night withdrew his challenge to The Miseducation of Cameron Post. The crowd apparently dissipated while the board was in executive session, however; when Bireley finally agreed no vote would be held, that announcement was made to “a room of one reporter and a bunch of folded tables and chairs.” Bireley acknowledged that pressing forward with his challenge was futile because “look at what happens to other school districts and what the [American Civil Liberties Union] does.” Considering that the ACLU of Delaware was one of the signatories on the letter sent to the district last week, we will take that to mean that our coalition message made an impression on Bireley and he now has a better understanding of students’ free speech rights!